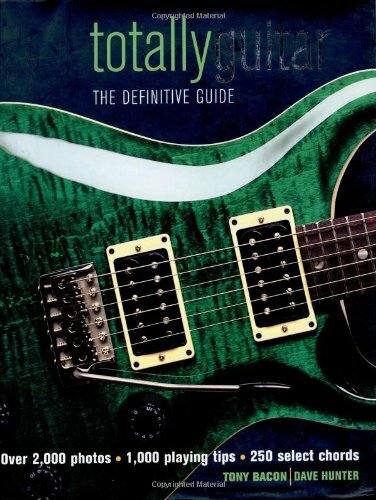 Totally Guitar is the biggest and most complete book on the world's most popular instrument, full of expert tips and fascinating stories for both beginning and advanced players. An unrivalled guide to the guitar, here are the stories behind 100 key electric guitar makers, from Alembic to Zemaitis, with fabulous color photos of all the greatest models from the 1930s to the 2000s. Here too is advice on how to string, tune, set up, clean, maintain, and store a prized instrument. Add 1,250 bars of music, 250 chords, the biggest glossary of guitar terms ever assembled in one book, and hundreds of essential tips on 10 hot playing styles from acoustic to rock 'n' roll and the result is a modern bible for the guitar-obsessed.